The present Congress Govt headed by Captain Amrinder Singh has also passed a similar resolution on Aug 27, 2018. IT IS almost 18 YEARS NOW AND GOVT OF INDIA IS YET TO ACCEPT IT. People are continuously praying to God so that He blesses peace sense to India. 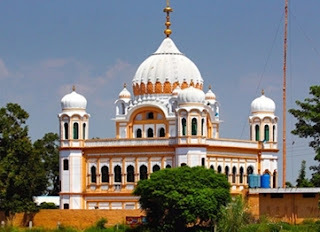 Any how 2.5 million people visit Corridor Point on Border between March 1 to 10 and visiting..
On Sept. 7, 2018 the Govt of Pakistan under the humanitarian Prime Minister has unilaterally announced that it is going to open Corridor on the occasion of 550 birth anniversary of Guru Nanak which falls in Nov.2019. Govt of India is yet to respond.